In a live session on Facebook on Mar 15, Amish Tripathi gave the details about the release of the second book of Ramachandra series. Amish also told readers that the new novel, which will be the sequel of Scion of Ikshvaku, will be released in May 2017. Amish also told the readers that he’ll be discussing more the upcoming second book of Ramachandra series with Smriti Irani. He requested the readers to join him at the live session on Facebook to be held on 22 March. UPDATE: Here all you need to know about the 2nd book of Ramachandra Series. 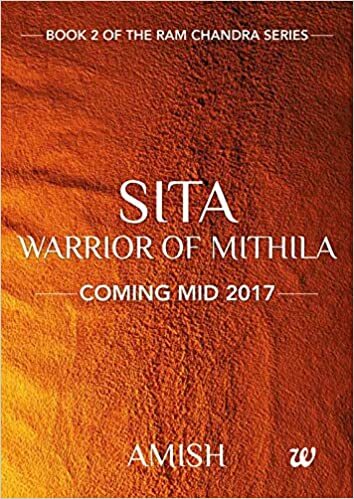 Click Here to read the excerpt and release date of Sita Warrior of Mithila, the second book of Ramachandra series by Amish Tripathi. Earlier in 2016, the creator of Shiva Trilogy, Amish Tripathi celebrated his birthday on October 18. While thanking his fans for the birthday wishes, Amish gave his readers the best possible return gift. Yes! you guessed it right. Amish just announced that will be releasing not one but two new novels in 2017. 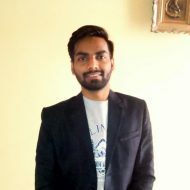 Tripathi took to his official Twitter account and thanked his fans for the birthday wishes and subsequently went on to declare two new titles in his video message. Hi guys, this is Amish. Thank you so much for your very kind birthday greetings today… You absolutely made my day. And I have a bit of news for you guys as well, for 2017, my fifth book which will also be my first non fiction book will come out in early 2017. And the second book of the Ramchandra series which will be my 6th book will also come out in 2017. So.. I have two books coming out next year and I hope you guys like both of them. Thank you so much! said Amish Tripathi in his twitter video. Amish Tripathi took all of us to a rather unexplored journey into Indian Mythology with his bestseller Shiva Trilogy and the Ramachandra Series. He has a keen interest in mysticism which reflects in his book brightly making the readers to love reading them. Second book of the Ramachandra series will solve a lot of questions left unanswered in the first book ‘Scion of Ikshvaku’. Also, Amish is debuting in non-fiction next year and it will worth reading whether he will be able to create the same magic as he does with the mythological thrillers. While you wait for these new books by Amish Tripathi to come, read some of Amish’s most popular novels and delve deep into mythological magic he creates.